Royals aren't serious all the time. Royals usually follow a strict protocol that dictates their behaviour,from what they eat to how they sit. But, as in 2018, they've been known to deviate from the rules. Meghan Markle hugged a fan, for instance, despite royal protocol to keep some distance. Sometimes, rules are meant to be broken. And when it comes to strict rules of royal protocol, even Queen Elizabeth herself has been known to brush them aside, calling them "rubbish." Here are 10 times that members of the royal family broke their own protocol this year. Royals aren't supposed to give autographs, but Markle signed a 10-year-old girl's notebook. Royals aren't supposed to sign autographs for security reasons: that way their signatures can't be forged. That didn't stop Markle from signing 10-year-old Caitlin Clark's autograph book with a heart and smiley face. Clark told HELLO! magazine that Markle misspelled her name and wrote "Hi Kaitlin," but that she didn't mind. "I don't really care," she said. "My heart is still racing. I've never got a royal autograph before. This is going to make everyone jealous." 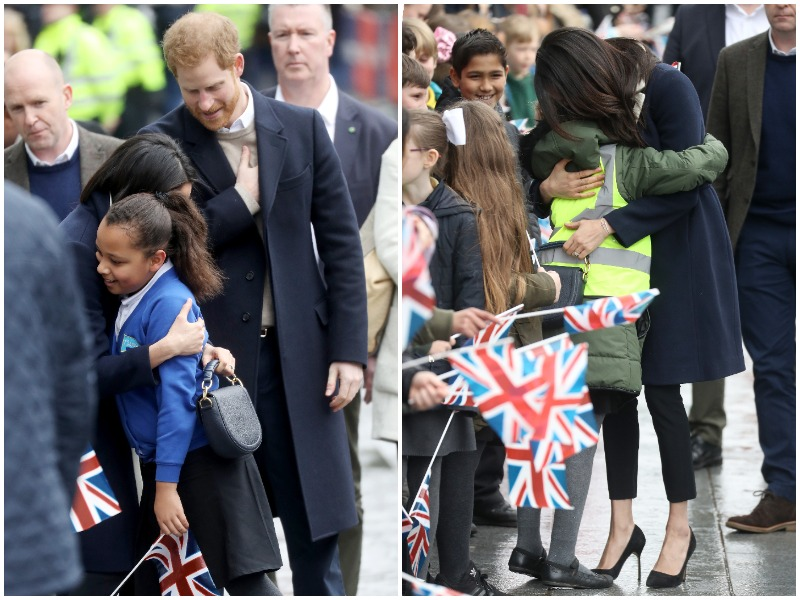 At an event for International Women's Day, People reports that when 10-year-old Sophia Richards told Prince Harry she wants to be an actress, he brought her over to meet Markle, who hugged her. Princess Eugenie says she "got in trouble" after taking a picture in an off-limits part of Buckingham Palace. Members of the royal family don't have their own personal social media accounts. Instead, they share photos through Kensington Palace's official pages. The exception to that rule is Princess Eugenie, the queen's granddaughter and ninth in line for the throne, who has Instagram. During the Trooping the Colour parade in June, Eugenie snapped a photo of her father, Prince Andrew, standing in Buckingham Palace. "A wonderful and proud day celebrating Her Majesty's birthday and @hrhthedukeofyork for his first Trooping the Colour as Colonel of the Grenadier Guards. #troopingthecolour," she captioned the photo. She told British Vogue that she was later chastised by palace officials for breaking royal protocol by sharing the photo. It couldn't have gotten her in too much trouble because it's still up on her Instagram. On her first engagement with the queen, Markle wasn't sure who was supposed to enter the car first. On her first solo engagement with Queen Elizabeth as the Duchess of Sussex, Markle rode the royal train to Cheshire and the two were picked up at the station by a car. In a video published by The Daily Mail, a member of their entourage seemed to gesture to Markle to get in the car first, but the queen had already started making her way in. Markle appeared to look around, unsure of who was supposed to enter first. She could then be heard asking the queen "What's your preference?" and the queen let Markle go before her. Etiquette expert William Hanson told MailOnline that the queen prefers to sit behind the driver's seat. "This is just a case of habit not protocol (protocol actually says the most important person sits diagonally behind the driver) but the queen has always preferred being directly behind whoever is driving her," he said. Markle might have broken royal protocol by speaking out in favour of legalising abortion in Ireland. 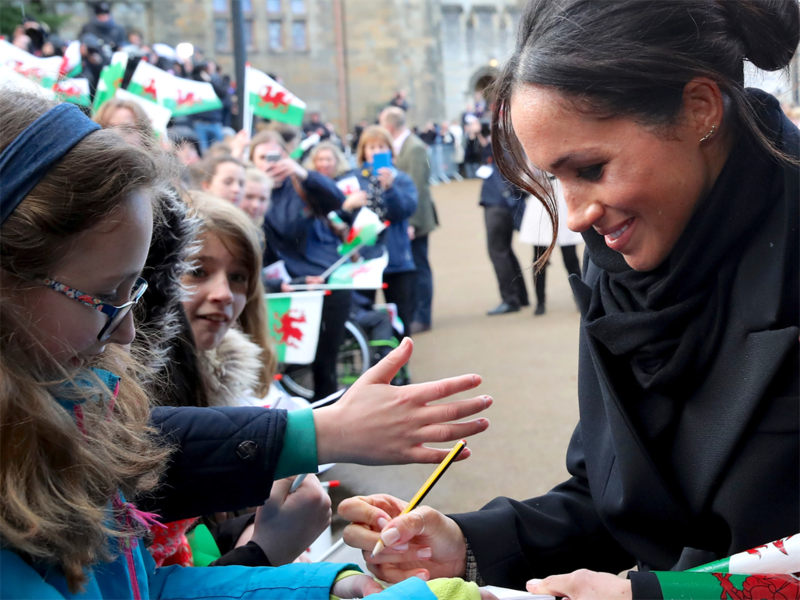 Markle appeared to voice support for the result of Ireland's recent referendum on abortion law as part of her visit to the country, but royals are supposed to remain politically neutral. 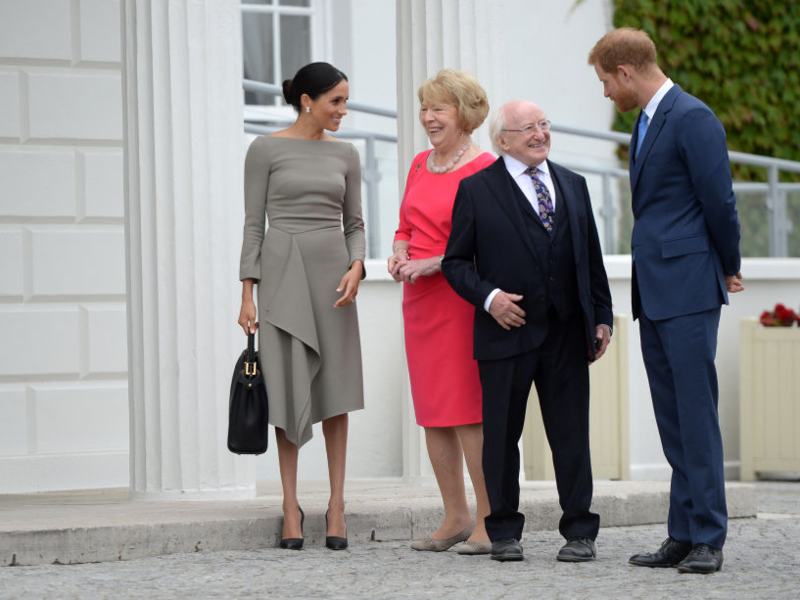 An Irish senator tweeted that she and Markle had discussed the referendum at a reception. As many as 66.4% of Irish citizens voted "yes" to change the constitution. "A pleasure to meet Prince Harry & the Duchess of Sussex at the British Ambassador's Residence this evening," Senator Catherine Noone from the ruling Fine Gael party tweeted. "The Duchess & I had a chat about the recent referendum result. She watched with interest & was pleased to see the result." Noone then deleted the tweet, and told Irish news website Independent.ie, "I deleted it because it was unintentionally misleading - the Duchess was not in any way political." 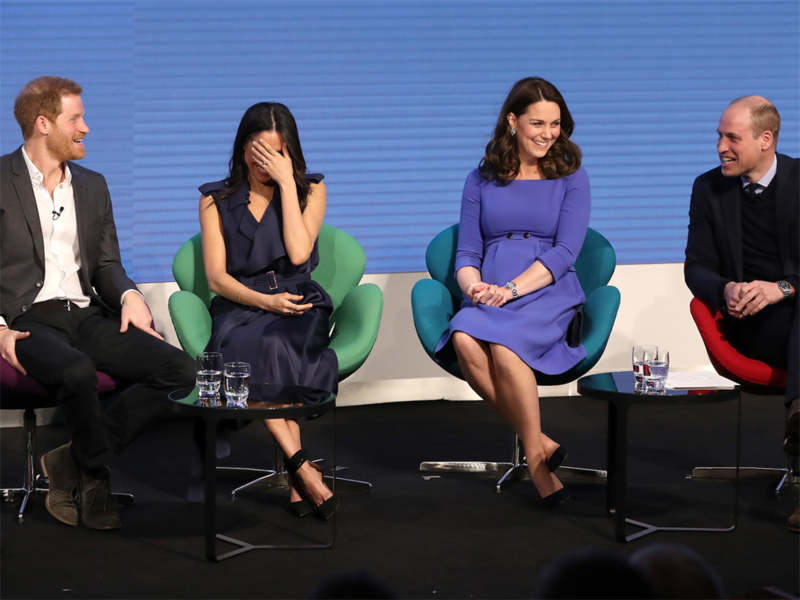 Meghan Markle appeared to shun traditional etiquette when she crossed her legs at an event. 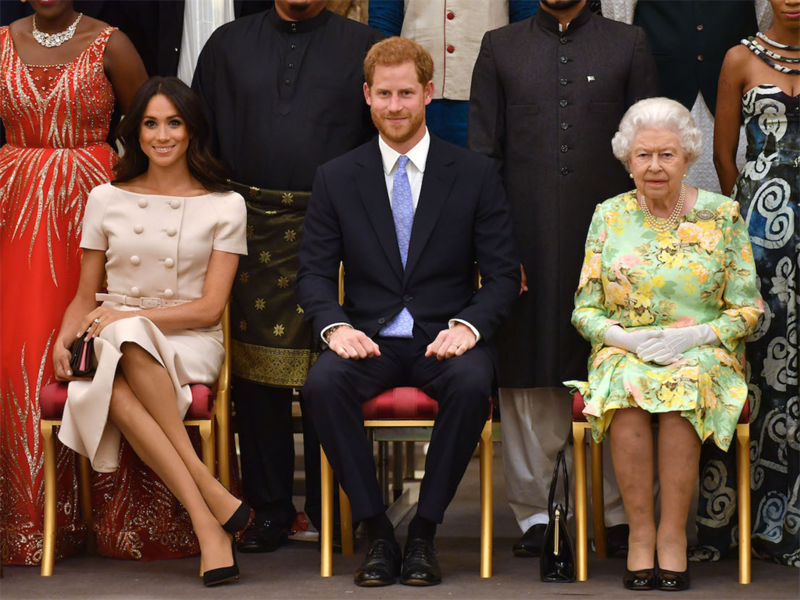 At an event honouring the Queen's Young Leaders programme, Markle was seen momentarily crossing her legs after taking her seat at the awards ceremony - not the correct way to sit according to traditional etiquette. She then glanced down at her lap before repositioning her body so that her legs were slanted to one side. While there is no official protocol that dictates how royal women must sit near the queen, Myka Meier, royal etiquette expert and Beaumont Etiquette founder, previously told INSIDER that "the most formal way for a lady to sit is with her knees and ankles together at all times." "With the immense pressure [Markle] is under to learn what she has in under a year, it's quite exceptional," Meier told INSIDER. "She is showing respect through her actions, and that is most important. I personally think she looks incredibly elegant and poised." People think Markle broke royal protocol with her "inappropriate" off-the-shoulder dress, but Kate Middleton has worn similar styles. 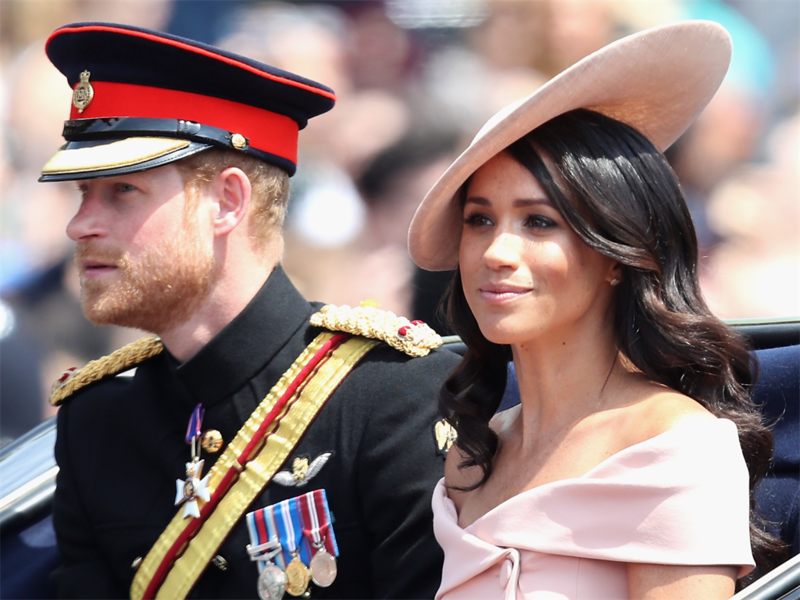 The Duchess of Sussex wore a pale pink dress by Carolina Herrera which she paired with a fascinator by Philip Treacy for the Trooping the Colour celebration. While many thought Markle looked stunning during her first major post-honeymoon appearance, others took issue with the off-the-shoulder design of the dress, calling it "inappropriate" and "a bit much" for the queen's birthday celebration. A quick look back at Markle's sister-in-law Kate Middleton's wardrobe seems to prove that the backlash is unfounded. There appears to be no royal protocol against off-the-shoulder dresses, as the Duchess of Cambridge has worn several similar designs in the past. Prince William and Kate Middleton shared a rare moment of PDA at Princess Eugenie's wedding. 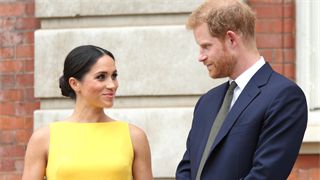 As royal etiquette expert Myka Meier previously told INSIDER, there's no official protocol that forbids royal couples from holding hands or showing affection in public. However, since Queen Elizabeth II is rarely affectionate with Prince Philip in public, the monarch seems to have set an unwritten precedent that discourages PDA - especially during official royal engagements, as body language expert Robin Kermode previously told the Daily Mail. While Prince Harry and Meghan Markle frequently engage in PDA, William and Middleton rarely do the same. 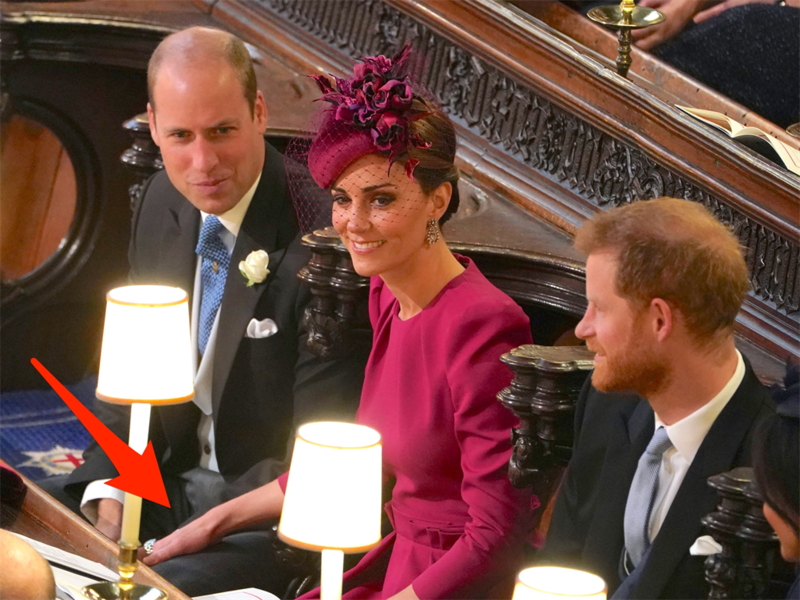 So when Middleton placed her hand on her husband's thigh, and William then rested his hand on top of hers, royal fans were taken by surprise. Prince Harry deviated from royal tradition to take a selfie with a young fan who lost his mother. 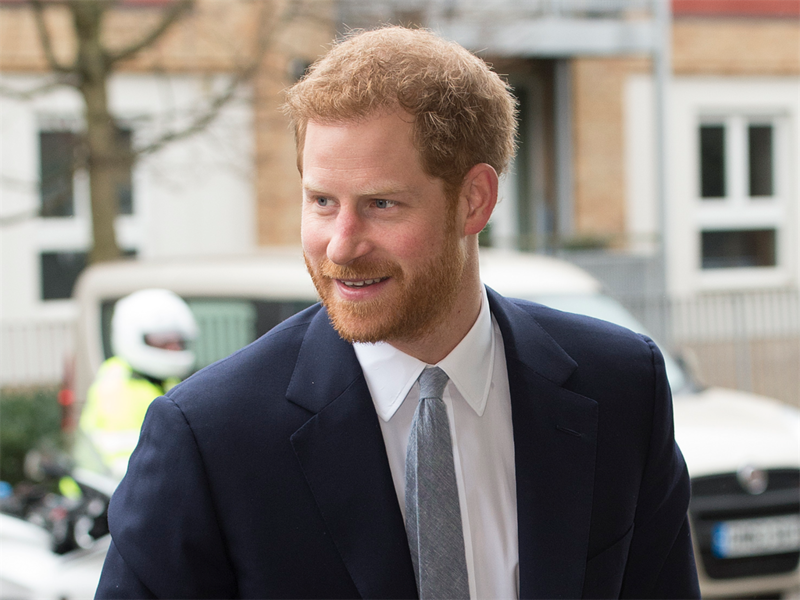 While on a 2018 trip to Auckland, according to News.com.au Harry came across six-year-old Otia Nante, whose mother had recently died. People reported that Prince Harry consoled the young boy, telling him, "Life will always be alright. You know that? I've made it to 34 years old, and life is great. I have a beautiful wife and a baby on the way. Your life is going to be sorted. Don't you worry about that." 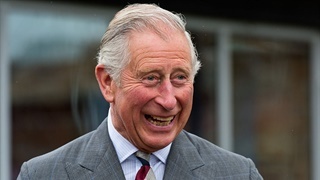 Although royal family members typically avoid posing for selfies with fans due to the proximity they require and the sheer number of people who want to meet them, Harry made an exception for Nante and took a selfie with him. 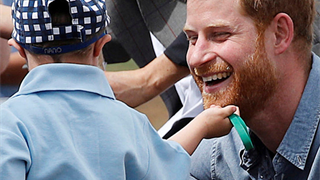 Prince Harry let a five-year-old boy rub his beard while on tour in Australia. 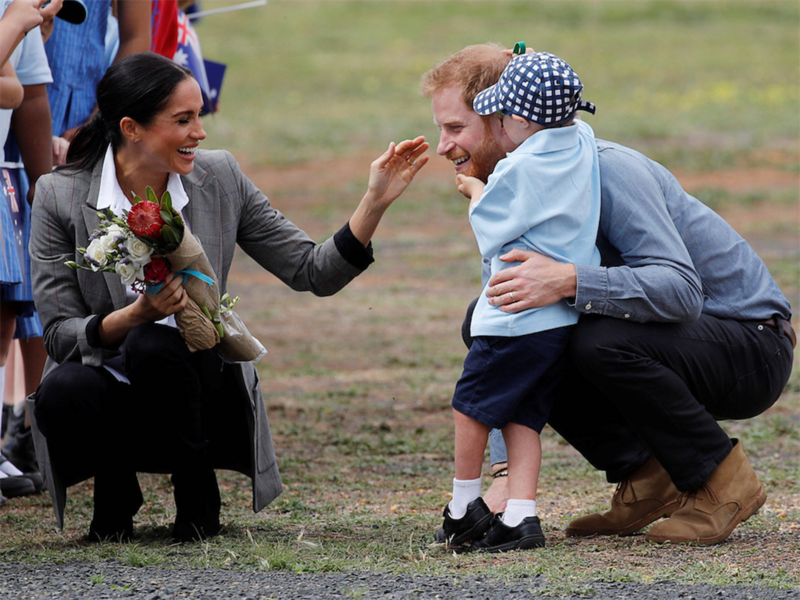 Royal protocol went out the window as Harry allowed an adorable young fan to rub his beard during the last leg of his and Markle's tour of Australia. The royal couple were visiting Dubbo in New South Wales - just one day after announcing that they're expecting a child of their own - when they met five-year-old Luke Vincent, who dove straight in for a hug. "Luke loves beards. Luke's favourite person is Santa Claus," Vincent's school principal, Anne Van Darrel, told 7 News Sydney. Prince Harry having a beard himself, Vincent was tempted. "[We were told] no touching. Definitely, I was very concerned once he started rubbing Prince Harry's face and his hair, but Prince Harry was completely gracious and so polite and realised what was happening with his infatuation with his beard. We can only thank him so much for treating Luke with such respect."